Homecoming is that special time of year when everyone can celebrate Laurier’s school spirit as a community. Students tend to look past the differences between first year and fourth year students and just focus on making the most of their day. The Windsor Lancers will kick off against the Laurier Golden Hawks this upcoming Saturday. If the game doesn’t spark your interest there is no need to worry; your day can still live up to the hype. 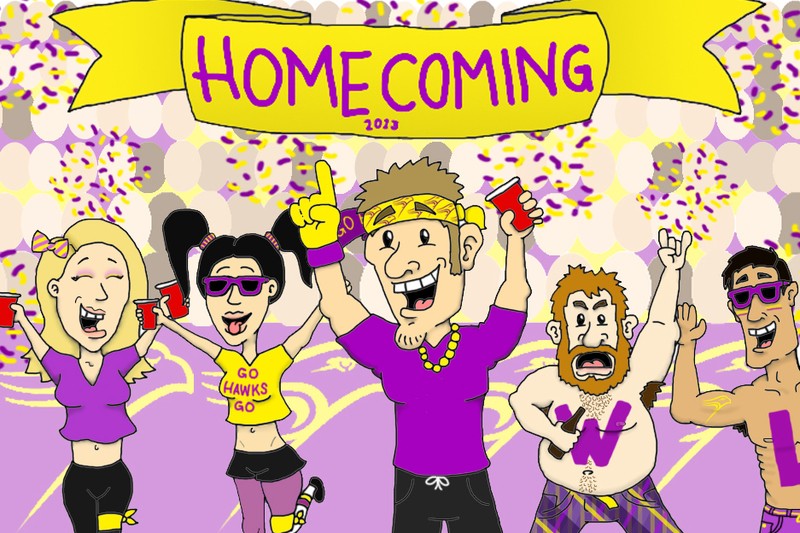 The idea of homecoming may appear overwhelming for some students, particularly first years. Everyone wants to make the most of their day and be a part of the atmosphere, which typically involves binge drinking for an extended period of time. There are always those who underestimate how long of a day homecoming can be. Those people tend to throw in the towel early. We get it, this day comes once a year, you’re excited, and for those with friends visiting you want to show them how fun your school is: just pace yourself. For students who want nothing more than to start drinking right away, you can find a party on almost any street that is close to the university. For those who forgot to eat breakfast, hopefully you have a host gracious enough to serve some pancakes along with your hearty liquid breakfast. Getting up early and immediately facing the day with dubious amounts of alcohol may not be so appealing to everyone, but lucky for you, the Dining Hall will be serving a pancake breakfast from 9:00 a.m. until noon — for free! It’s the big event of the day: you don’t want to miss this. For everyone with a ticket, watching Laurier’s football team is a great way to spend a couple hours absorbed in the electric chanting and cheering. Students who waited too long to buy their ticket should have no issues finding a party and interacting with your fellow Golden Hawks. You will find out from someone else if we won the game or not. Trying to survive the whole day of continuous partying is a bold move, which is why a short nap after the game can never hurt. Take advantage of the time when everyone is eating and getting ready for the evening to recharge and gear up for a fun night. Whether we win the game or not this weekend, it is highly recommended that you still go out and indulge in the Waterloo nightlife, especially since the bars and clubs have a lot to offer for the big day. If Beta is your kind of scene, then you will want to get your tickets to their homecoming event featuring Paris Blohm and Deniz Koyu. All of the bars in the Waterloo area will be open for students to continue their homecoming celebrations. If you plan on going with your friends to the bar, make sure you get there early: you don’t want to end your day by standing in line for two hours.